Hi and happy belated Thanksgiving to you! 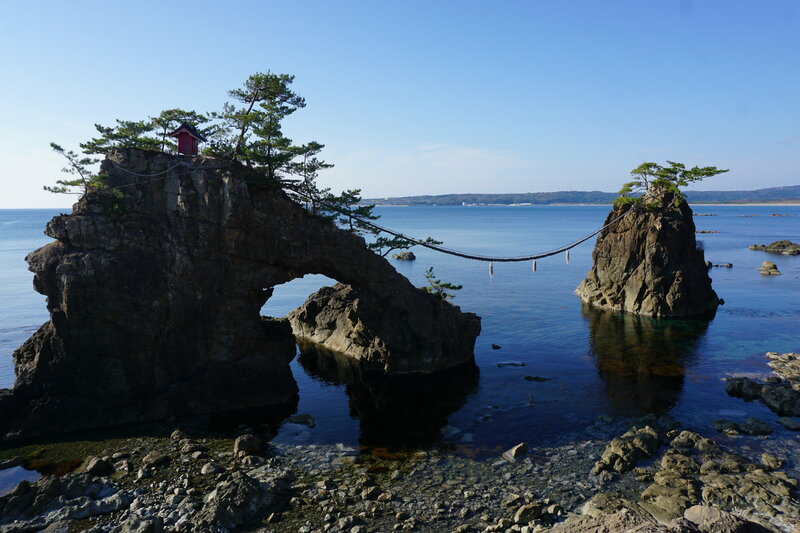 This post is coming to you from the Noto Peninsula just off of Kanazawa. The trip was inspired by an upcoming guest who is interested in biking the peninsula. And while I had visited Noto a couple times, there were still some areas that were unknown to me, so I spent the past week working my way around it and am so inspired by what I found. I feel much more confident recommending visitors come in the future and cannot wait to return myself. Image thanks to Research Gate. 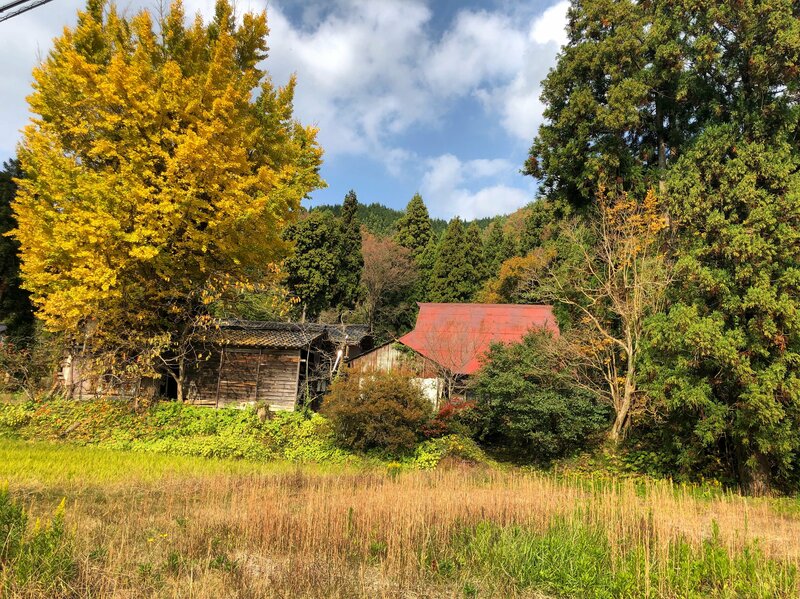 A few of the highlights for me include the mountains and coasts, the architecture, the emphasis on craft, the sake (of course), the seafood (out of this world), and the hospitality. On Noto, it felt like everywhere I looked was a beautiful vista. Whether it be on the coast or as I rode through the mountains. The Fall colors were out in full force and I loved the combined color palette. There is a cohesion to the architecture here, all the buildings have these heavy, black roofs that are made to withstand both corrosion from saltwater and pressure from the heavy snows that fall each winter. Coming from the city (which doesn't have a unified architectural style) I was surprised by how soothing, and enjoyable it was to see repetition in the homes, barns, storehouses, and shops. This history of craftsmanship is long and rich in Noto, especially as it relates to pottery and lacquerware. For me, Suzu Yaki (pottery) was an entryway into medieval Japanese history (12th - 15th centuries) and the role the Noto Peninsula played in facilitating trade within Japan and with countries like China and Korea. 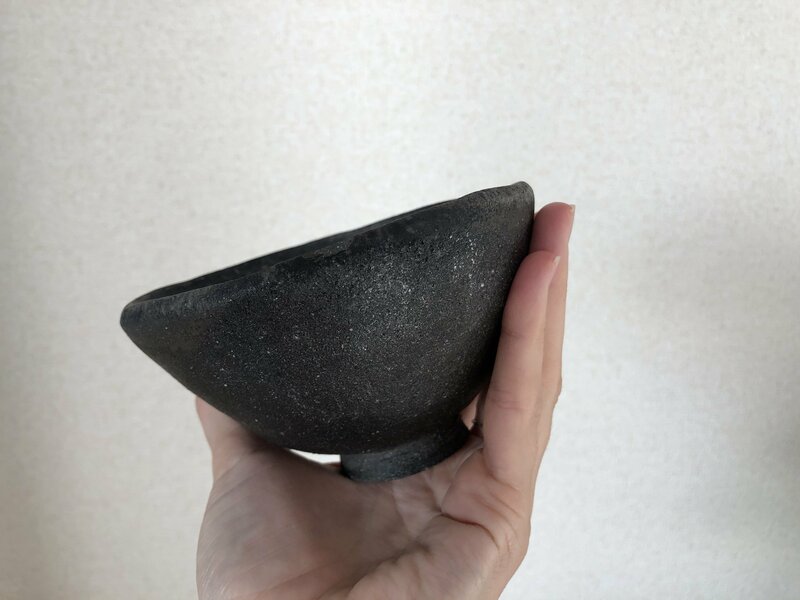 After the 15th century, Suzu Yaki wasn't really produced, but in the 1970s a group of potters revived the tradition. 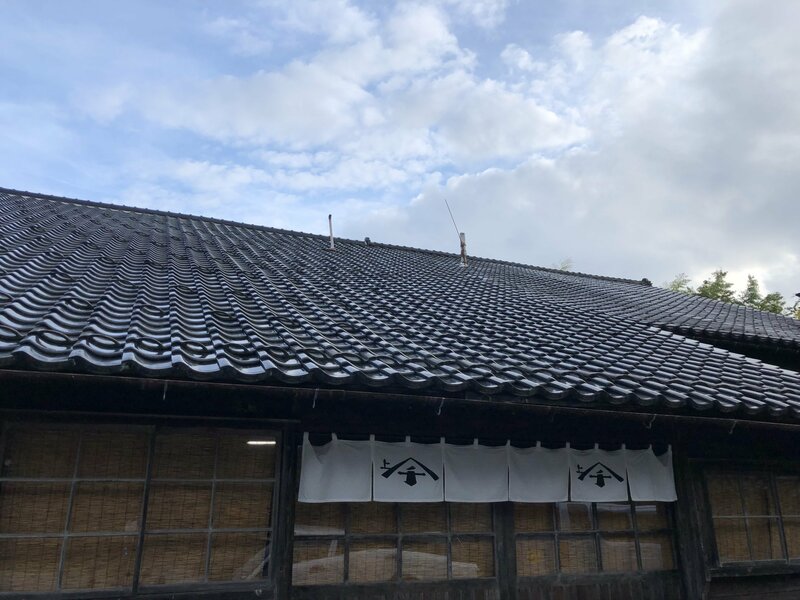 There are still nine working kilns that you can visit to learn more about the clay and firing process that makes Suzu Yaki so unique! 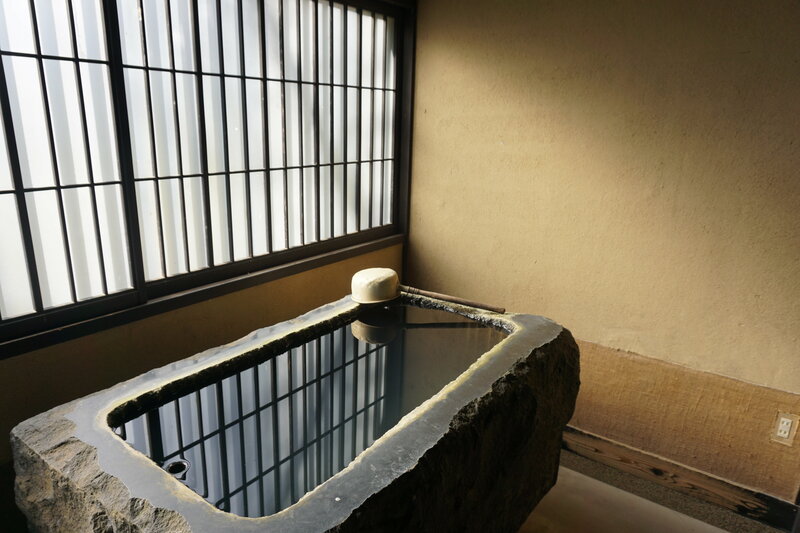 The bowl above was made by C. Watanabe, one of the revivers that maintain a traditional kiln. I felt so spoiled the whole time I was on Noto, the seafood rivaled all the best seafood I've had in Hokkaido. The sake was regional and delicious. And the accommodations were intimate and afforded the guest and host to really have a conversation. The trip even inspired me to start a new project, a photo series, where I'll collect images of one-cup sake in front of the famous location that inspired the label. 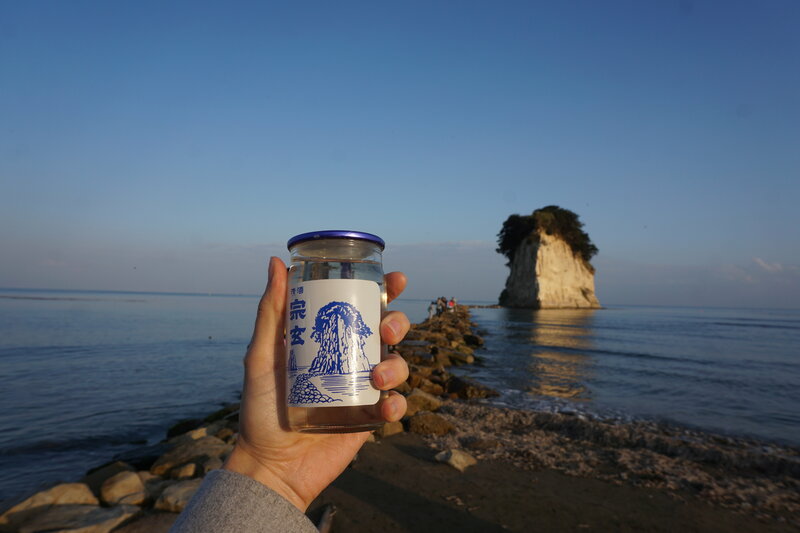 The photo below is a cup of sake from Sogen brewery in front of Mitsukejima—a famous rock formation just outside the town of Suzu. I'll post the photos on Instagram, so be sure to follow along if you aren't already! 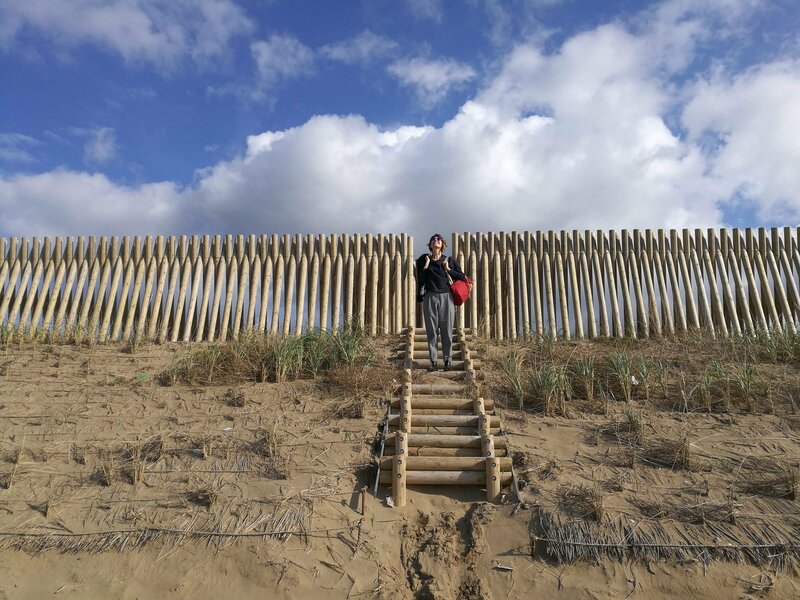 It was energizing to visit a destination with a specific client in mind and I look forward to more client-focused research trips like this in the future. Thank you so much for giving me the opportunity to keep exploring, learning, and sharing. Email sent lovingly from Tokyo, Japan. Copyright © 2017 Be Here LLC, All rights reserved.